Any code that enhances or manipulates the the front panel UI. Custom controls, Xcontrols, property nodes and references. This is the only way I found how to have a bunch of color that are unique and easily distinguishable. The maximum I saw in the web was about 26. This one offer 55 of them without gray tone. You can modify this VI to support gray tone as well and goes up to 60 colors. A set of custom controls, following the trend of a more flat UI design. Heavily influenced by Google’s Material Design, though constrained by what can be done with available tools and options in LabVIEW. Uses icons from Google Material Design. — Matched sets of controls for numeric/string/enum/etc., based on Silver controls, but swapping out all ‘chrome’ for simple boxes and lines. — flattened versions of switches/sliders/arrays/graphs etc. 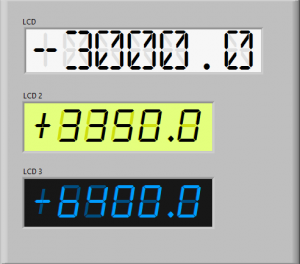 Here are a couple of controls that simulate an LCD numerical display. You will need to install the fonts for them to work as pictured. You can achieve the same things with which ever font you like but it really only works with mono-spaced fonts. 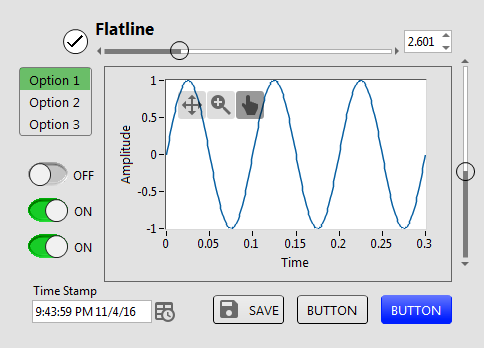 I've been playing around with making some controls that mimic popular electronic components and here is one of them. It's a basic 10 x 2 character LCD panel. You can play with the colors to create a variety looks. You could also imagine modifications to create animated LCD panels. Feel free to incorporate into what ever you're creating. 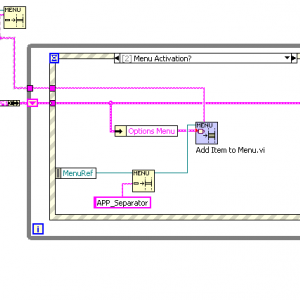 A pair of subVIs for connecting a cluster of enums and booleans to a set of options in a menu (either the right-click shortcut menu on control or the VI menu bar). Adding new menu options requires only dropping a new boolean or enum in the cluster. I use this heavily in User Interfaces, with display options being accessed via the shortcut menus of graphs, tables, and listboxes, rather than being independent controls on the Front Panel. 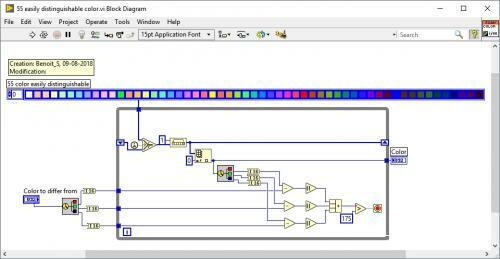 Relies on the OpenG LabVIEW Data Library. This package contains Vista-style buttons without text. After installing package with VIPM, refresh palettes if VIPM is not set to refresh automatically. v1.0.1: Removed a menu file that showed up incorrectly in the functions palette. Linked the Point & Double Point Arrows palettes to the Arrow subpalette. Distributed under the BSD license. Nuvola icons are LGPL licensed. 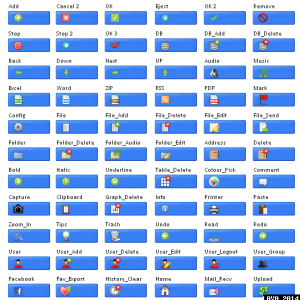 Keep Nuvola Icons license with distributions. Copyright © 2009-2015, FranÃ§ois Normandin. This package contains a class to quickly create controls programmatically based on templates. - It doesn't batch process controls yet. Wojciech Golebiowski for his BitMan library (Bitmap Manipulation). v1.3.0: Renamed package and moved templates to vi.lib to remove the need to rely on system files (outside of LabVIEW folder structure). Upgraded source code to 2012. Older versions not supported anymore. Changed the namespacing and added an incompatibility with previous versions of this package. v1.1.0: Added functionality for creating different decals for True and false states. This release is untested with the rest of the package. It is strictly aimed at providing a temporary solution to creating custom controls with different decals for True and False states. The package works as standalone, but might introduce some bugs in the parent package "UI Tools". Do no install unless you absolutely need the new functionality right away. Keep the latest UI Tools Addon Control Class package at hand to fall back in case it breaks functionality. v1.0.15: Added "Save to previous version"
Added "Drop on Front Panel" and tested to work in projects or outside projects. Added some configuration file entries and more error checking. Make sure you comply with the license of anyone who distributes icons on the web! Send me a personal message on LAVAG.org to get my attention faster. This package contains GlassWeb-style buttons with text. Use especially as horizontal toolbar selectors. 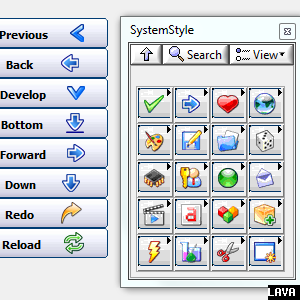 This package contains System-style buttons with text (left-side) and icon (right-side). v1.0.4: Removed a menu file that showed up incorrectly in the functions palette. Copyright © 2006, James Kring, Inc. 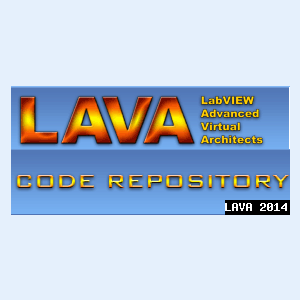 This code has been tested to run under LabVIEW 7.1.1. It will probably work on any newer versions but it has not been tested. Just unzip the code into any folder of your chosing and open the example called, JKI PBD Example.vi. This shows a typical use case where you want to pop-up a non-blocking dialog within a process loop and display a message and updated text from a parallel running task. In addition, you can pass a max value and updated progress value and the dialog will automatically present a percentage complete progress bar. - Contains an abort button on the dialog that can assist in aborting a running process. - You only need to pass the total number of tasks\items and the dialog automatically calculates percent complete. - Can update the status messages and progress in real-time after the dialog has been launched. - Setting an animation value of 0 disables animation and displays only text. - The dialog is not modal when run in the development environment however it becomes modal when built into an executable. 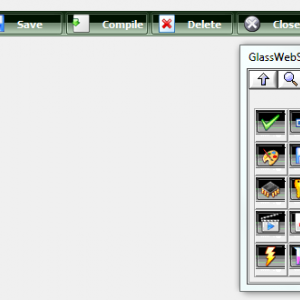 This is a toolbar class designed to make toolbars in the UI, which appear more like normal toolbars seen in Windows. The idea for this came about because I wanted a way to make a simple toolbar, but didn't want to have to make all the button states for mouse not over, mouse over, mouse down. I just wanted to provide one PNG file for a button, and have it take care of how the button should look. I also wanted a way to handle when there are more buttons than there is room for horizontally. When this happens I wanted a More Options button to appear which when clicked gives a vertical list of the remaining buttons, and a veritcial scrollbar if there are too many buttons to show vertically. I also wanted support for basic veritcal and horizontal separators. 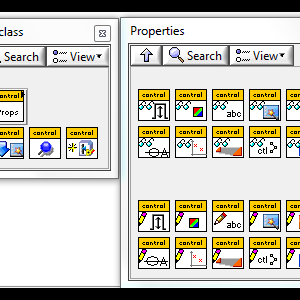 This toolbar class can do all these things, and all that is needed is to provide the buttons as PNG files with alpha layers. other file types like JPG, and BMP are supported but won't look as good just because buttons don't need to be a rectangle and can have soft edges. The Add Icon(s).vi is a polymorphic and also can add images from Image Data, or the native LabVEW picture data type. But these image types have the same issue mentioned with JPG and BMP that they don't support alpha layers. This relies on the following OpenG packages, a VIPC is included. At the moment this is not distributed as a package but just a zip with the required files in it. Install the OpenG packages required or install the Required Packages.vipc. 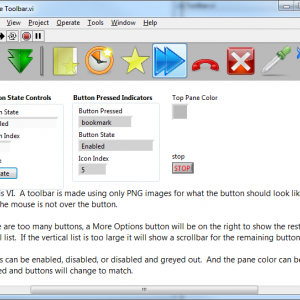 Then run the Example Toolbar under the Example folder. This uses images from within the Example Images folder and must be in the same directory as the Example Toolbar.vi. There is also a Toolbar Tree.vi which shows the public functions as they could appear on the palette. This Library contain, more than 500 controls, buttons. The Icon uesd in the library are free, but you can not redistribute it. search for the "System Button - Transperant Red Theme (Medium)" support page. 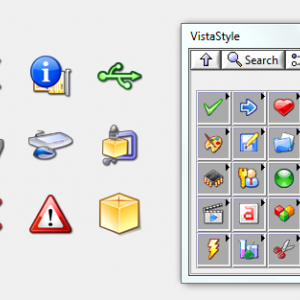 search for the "System Button - Vista Theme Small" support page. search for the "System Icon Button" support page. Description - This Library contain, more than 200 controls, buttons. The Icon used in the library are free, but you can not redistribute it. Description - This Library contain, more than 500 controls, buttons. The Icon used in the library are free, but you can not redistribute it. Enjoy with the Big Transparent icon style button. Description - This Library contain, more than 500 controls, buttons. The Icon uesd in the library are free, but you can not redistribute it.